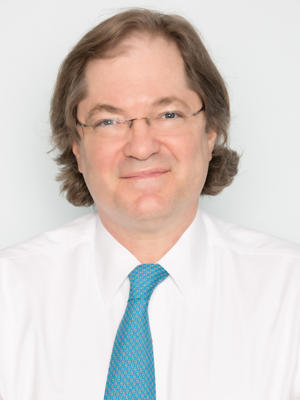 Prior to West End Pediatrics Dr. Rosenbaum was a faculty member at Rockefeller University and a pediatric emergency room physician at The New York Hospital/Cornell Medical Center. He is particularly interested in growth, nutrition, and herbal medicine. He maintains an active research and teaching career at Columbia University College of Physicians & Surgeons where he is a Professor of Clinical Pediatrics and Clinical Medicine and Associate Director of the Clinical Research Resource. He is the author of over 100 peer-reviewed scientific research papers, reviews, and textbook chapters and is nationally and internationally known for his work on obesity prevention and therapy. Dr. Rosenbaum has been quoted in print media (including the New York Times) and interviewed on television and radio. He has been listed among the Best Doctors in the United States, Best Doctors in the New York Metropolitan Area, and in New York Magazine and was named “Physician of the Year” at Columbia in 2001. He and his wife Nina have a son, a daughter, and a golden retriever. I think pediatrics is the most diverse branch of medicine. Newborns, toddlers, and teenagers are like different species with diverse diets, diseases, and concerns. Pediatrics also has the greatest potential impact on the largest number of people. By promoting good health habits in children we hope to delay or prevent the degenerative diseases of adulthood. Our former patients rarely express their gratitude for not having the heart disease that their parents did. But we know that we helped place health attitudes in childhood that have persisted over time. That is enough. These sentiments are echoed in my academic life which is mainly devoted to understanding the causes, treatment, and ultimately the prevention of obesity in adults and children. Obesity has become the number one nutritional problem in the Western World. It is a chronic disease that continues to manifest itself in the form a potent biological drive towards weight regain even after it has been supposedly “cured” by weight loss. The biology is in our genes,, but how it manifests itself can be most effectively addressed through early intervention in homes, schools, and communities. For over 25 years, I have had the pleasure of studying the regulation of body weight in great detail in adults and exploring ways to improve children’s health and health behavior through school-based intervention within the New York City Public School System.